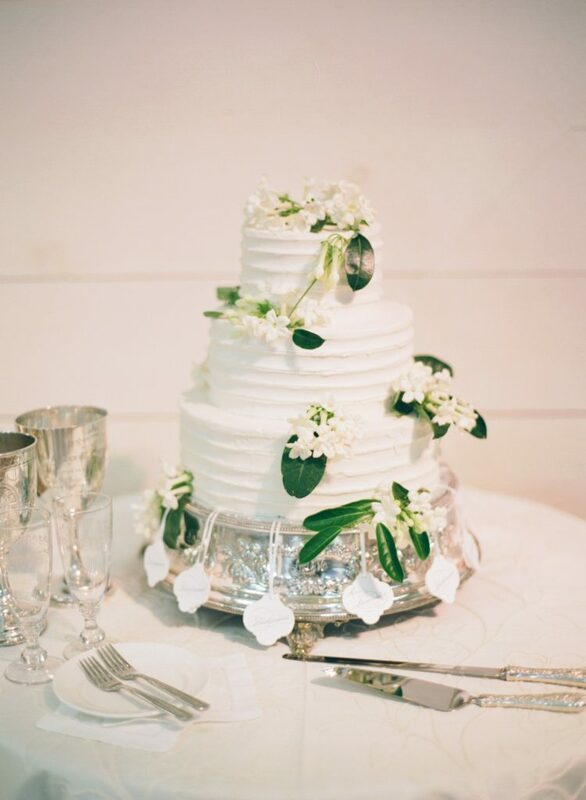 As we prepare to launch our Draper James wedding collection at the end of this month, we’ve been rounding up a few things that make a Southern wedding: the best Southern wedding venues, the best country wedding songs, and today, the best Southern wedding cake bakeries. 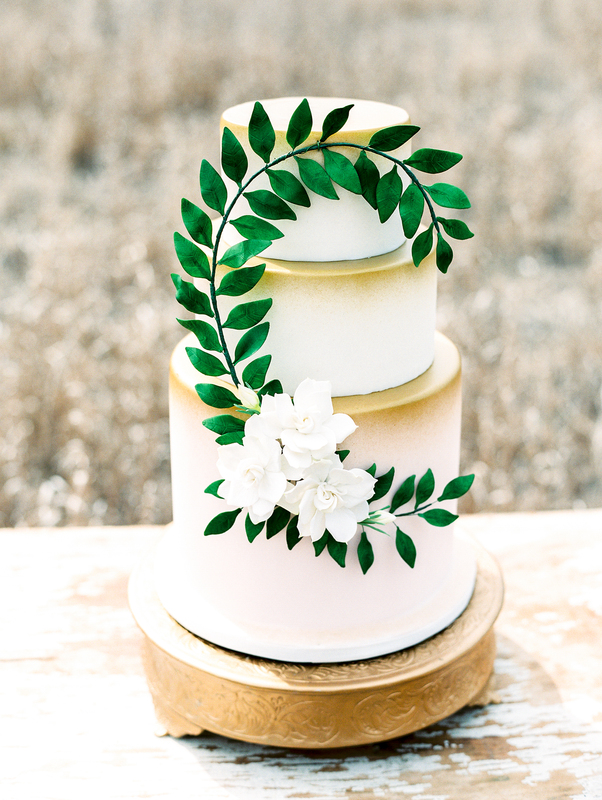 I'm a little late posting Aurelia & Corri's gorgeous wedding cake from Sunday! Their 4 tier buttercream cake featured fresh flowers from @trebellainc and the late afternoon light was just perfect at @thecottonroom for the ceremony and reception! 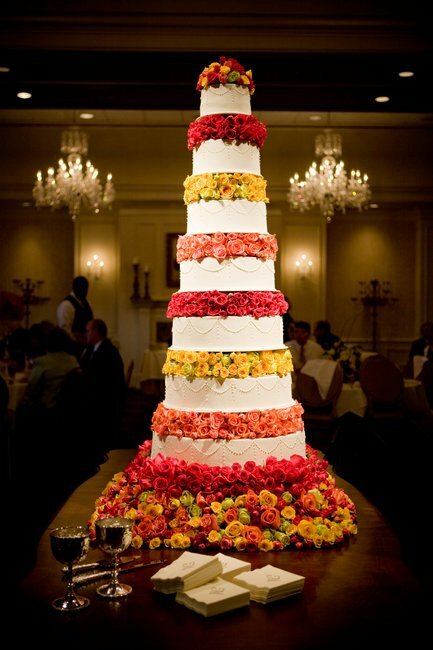 A Cake Designs cake via Facebook. 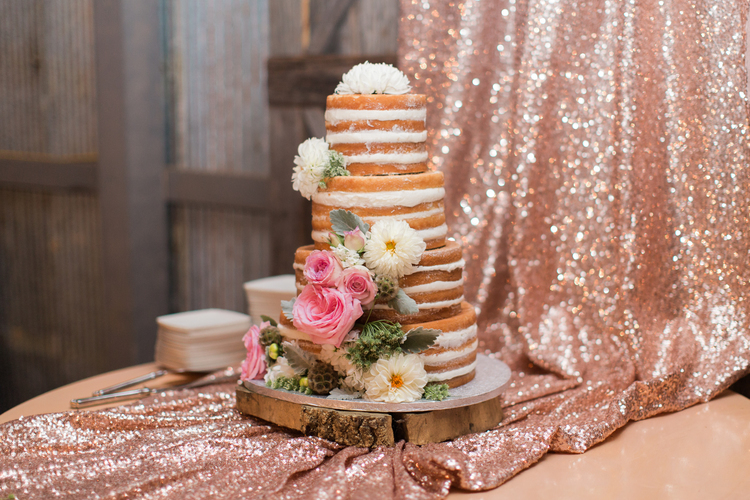 #tbt to the most insanely gorgeous #rosegold and #sugarflower cake! #confectionsonthecoast blew this one out of the water! 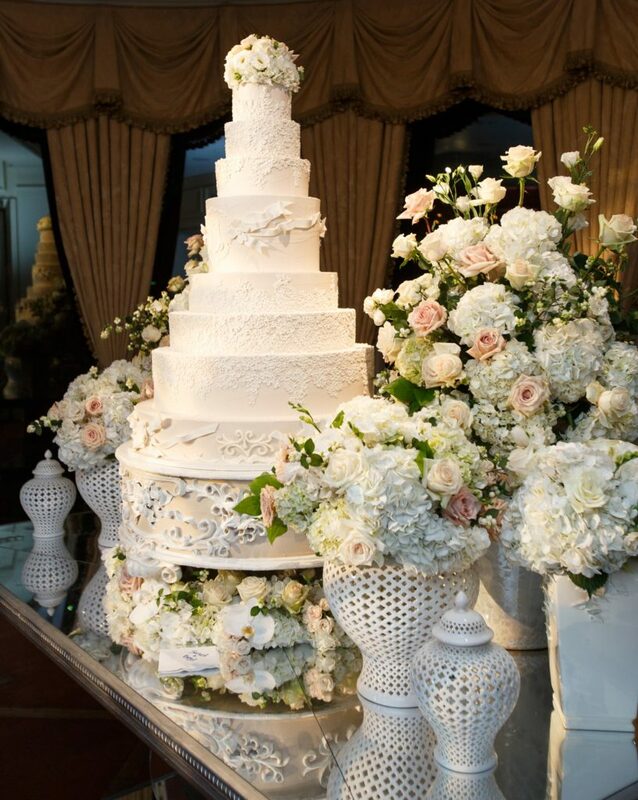 Wedding planner Jordan Payne of Jordan Payne Events enthusiastically recommends Creme de la Creme for the way its bakers flawlessly execute the complex designs her team comes up with and for their willingness to personalize cakes right down to the custom flavors. “From blackberry cream cheese to chocolate salted caramel and everything in between, this cake is so so yummy!” she says. 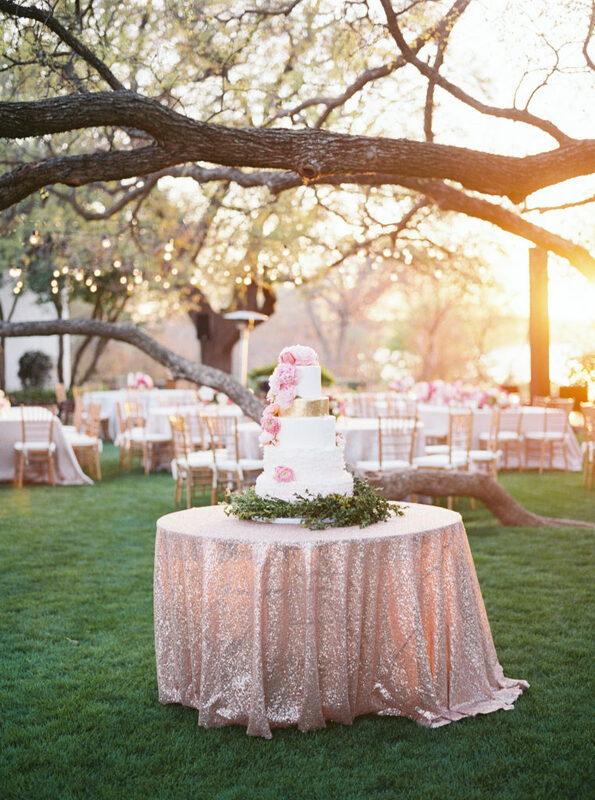 The “traditional buttercream frosting” is what makes cakes by Dallas Affaires at once delicious and beautiful, according to Mary-Frances Hurt, Founder and CEO of wedding and event planning company DFW Events. 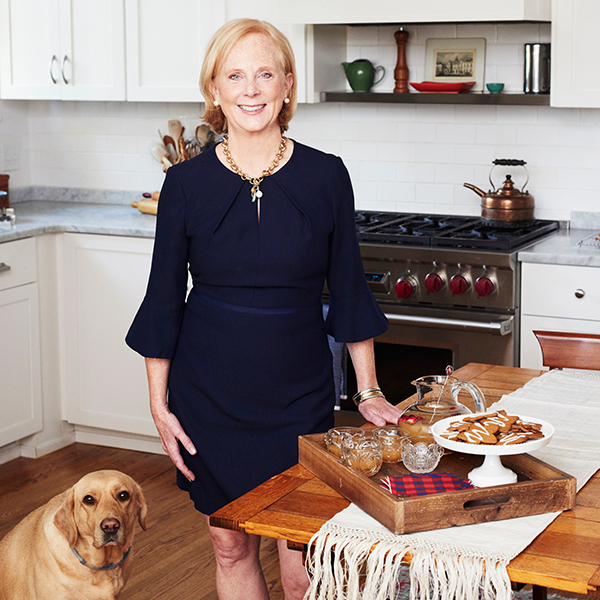 The cakery is also happy to incorporate a couple’s family traditions into their dessert. 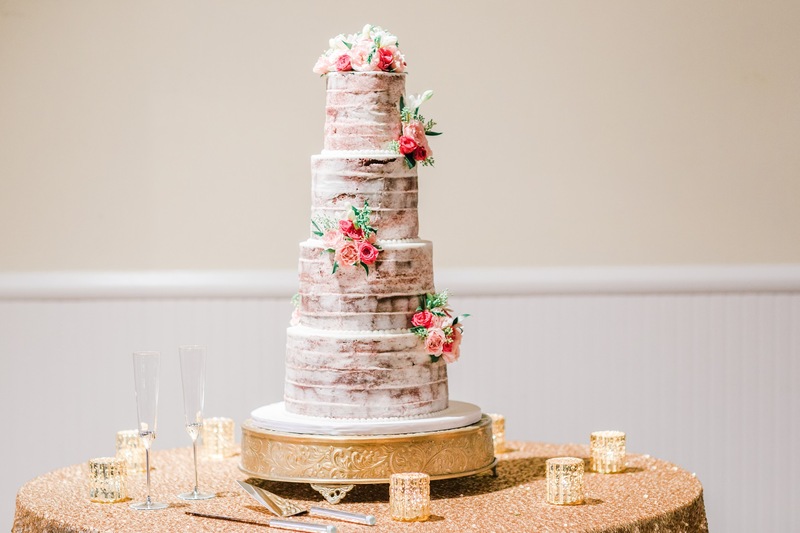 Case in point: The stand used for this cake was purchased by the bride’s mother and used for the weddings of all three of the family’s daughters. 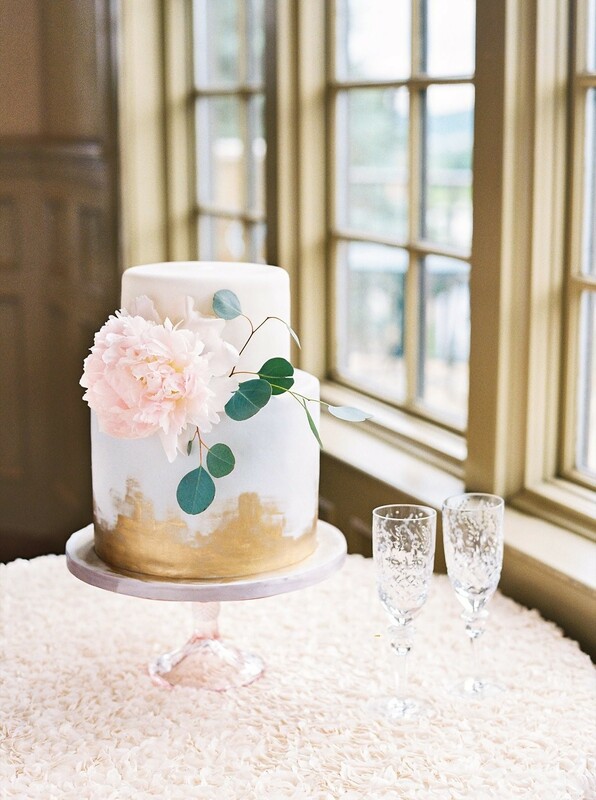 A wedding cake by The Frosted Affair featured at an engagement party designed by the Fashionable Hostess and featured on the blog. 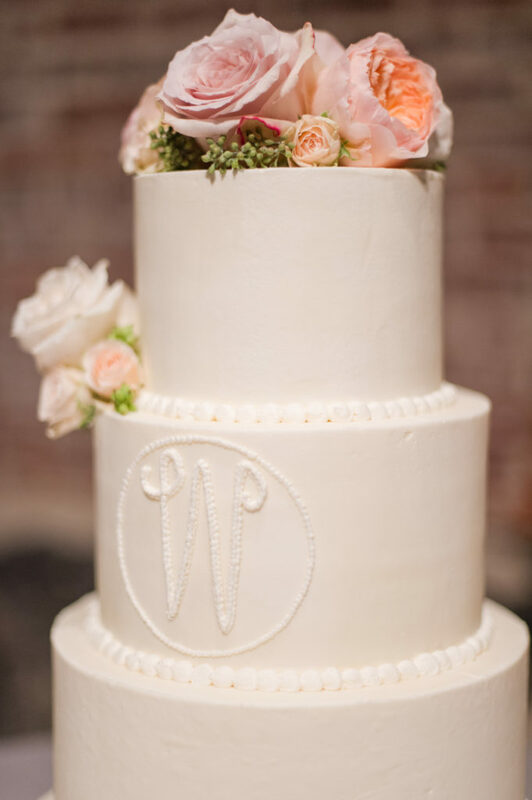 Birmingham brides should head to Olexa’s for “simply decadent cake that’s overwhelmingly delicious,” says Erin Waldron, whose own unique company, P.E.W.S. (Purely Elegant Wedding Statements), rents rustic and elegant church pews in bulk for brides across the South. 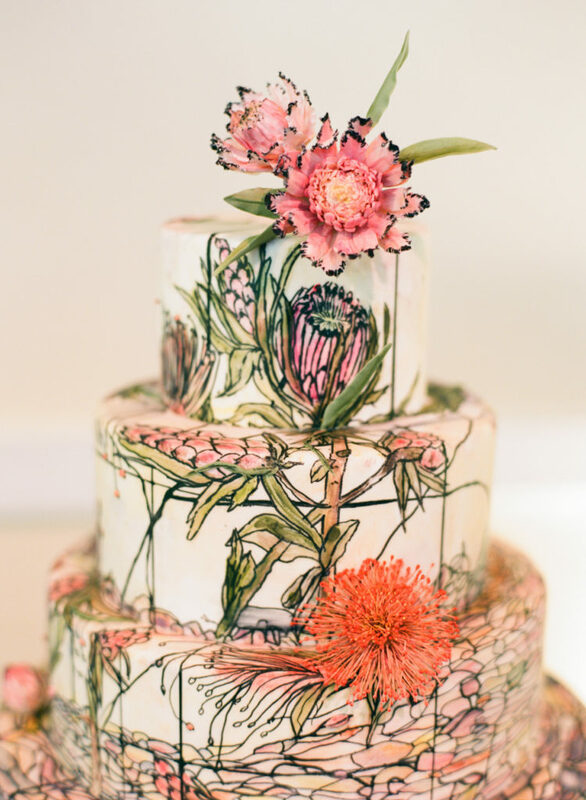 If you’re looking for photo-perfect wedding cakes, it’s always smart to ask a photographer. 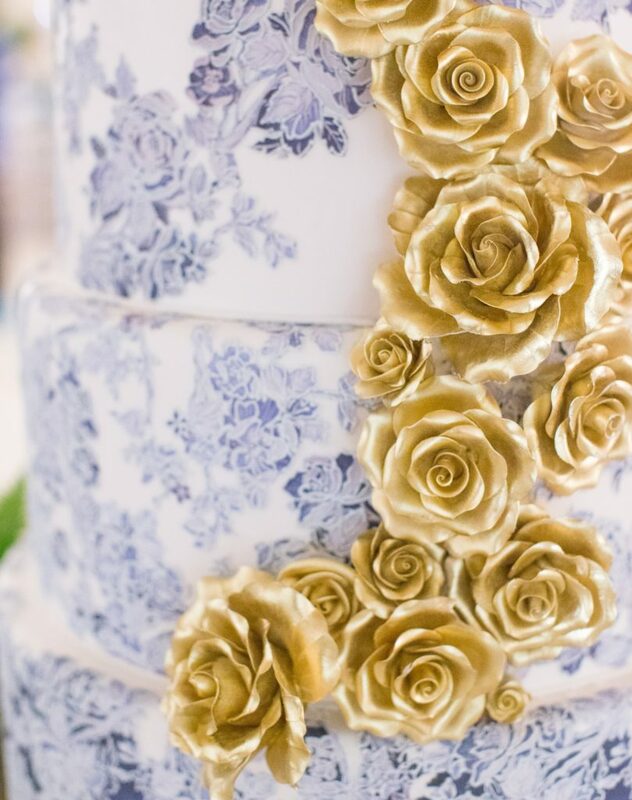 Adam Gilbert, the Creative Director at award-winning wedding video and photography studio Blueberry Creative, recommends One Belle Bakery in Wilmington for “delicious confections” that are also dreamy to look at. Tara Skinner, co-owner of wedding planning firm Posh Petals & Pearls sends her Savannah and Lowcountry brides to Savannah’s Hall of Cakes, a spot she loves for its client service and an “extensive flavor list” that includes Cookies & Cream, Vanilla Latte, Pumpkin Spice, and other unique tastes to accompany the classics. 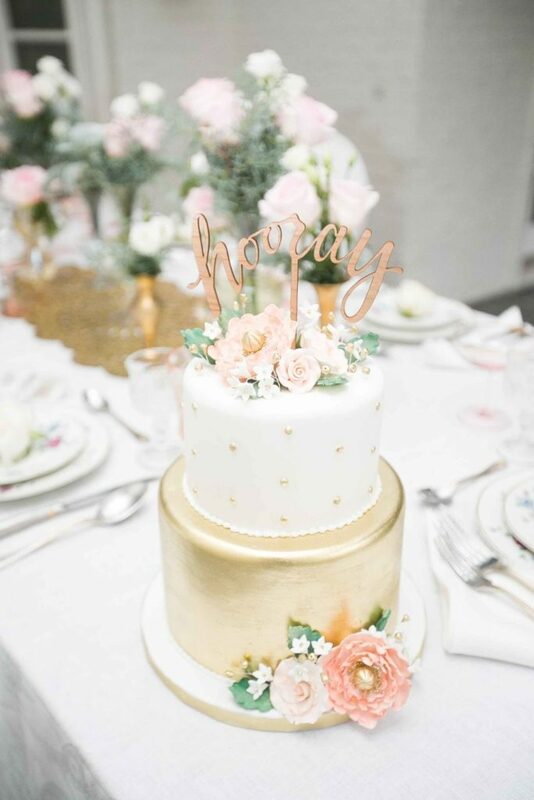 “We love working with Melissa and her team at The Twelve Five Cakery for weddings and always look forward to seeing her creations on our rentals” says Lauren Soley, whose company, Lovegood Weddings, specializes in one-of-a-kind and vintage wedding rentals. 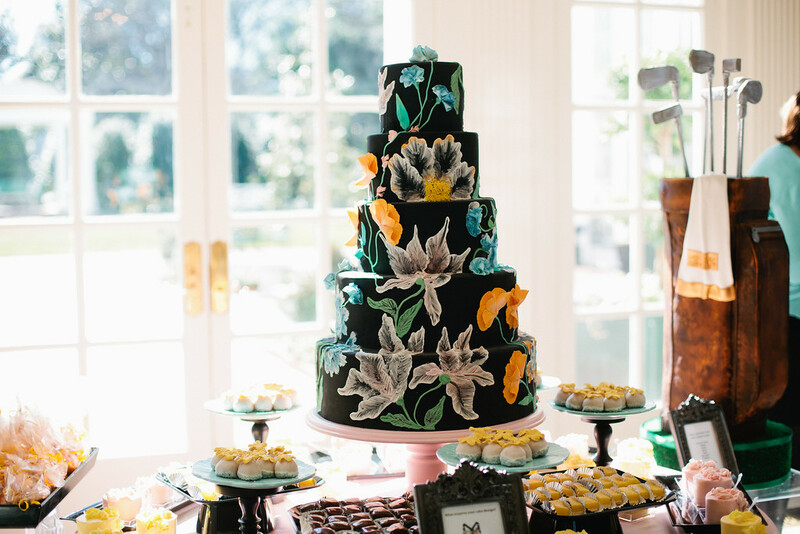 The Twelve Five provided the cakes for this Mississippi bridesmaids brunch, while Lovegood provided the unique buffet table. 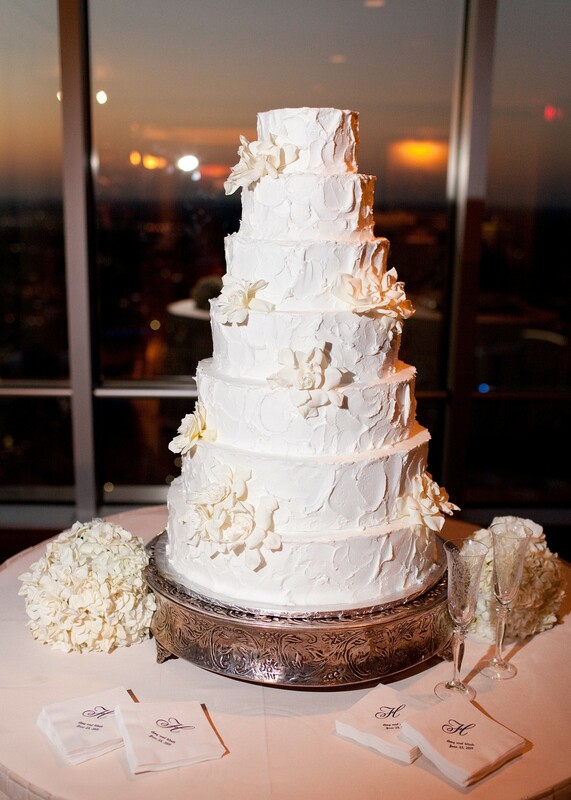 Wedding Cakes by Jim Smeal was able to create this show-stopping four-tiered cake based on Kinsey's @amsalebridal gown from @whiteondi for her @harborsideeast wedding. Isn't it amazing?! Find their full Charleston wedding from @sageinnovations and @hyerimages on the blog.